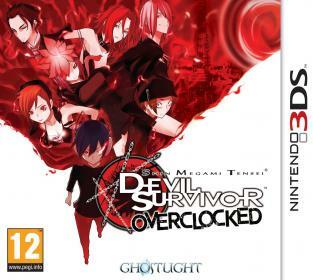 Europeans have been patiently waiting for publisher Ghostlight to release Shin Megami Tensei: Devil Survivor Overclocked. Fortunately, that wait has now become a little bit shorter. Today, Ghostlight announced via their blog that Devil Survivor Overclocked, which was previously slated for an April 5th release, will now be released on March 29th. This apparently has something to do with the manufacturers. That’s an advancement of a full week! In addition, Ghostlight has made an alteration to their previously announced pre-order bonus. Instead of one double sided poster featuring art from the game, those who preorder from Ghostlight’s store will receive two single sided posters. This means no choosing which side to display! It’s not all good news, however. It seems Ghostlight is unable to ship from their store to customers in Austria, Belgium, France, Germany, Portugal Spain, or Switzerland. People in those countries will have to acquire Devil Survivor Overclocked through regular retail outlets. In other Devil Survivor news, it seems Ghostlight will have an update on Devil Survivor 2 for European fans sometime in the near future. According to the blog post, “the market for DS games is quite difficult at the moment,” so I’d be wary of getting my hopes too high. The nice things about low expectations is you might find yourself to be pleasantly surprised. Again, Devil Survivor Overclocked will now be released in Europe on March 29th. It was released on August 23rd, 2011 in North America. It is an enhanced port of Devil Survivor, which was released on the Nintendo DS in 2009. This is the first time a game in the Devil Survivor series will hit European shores.